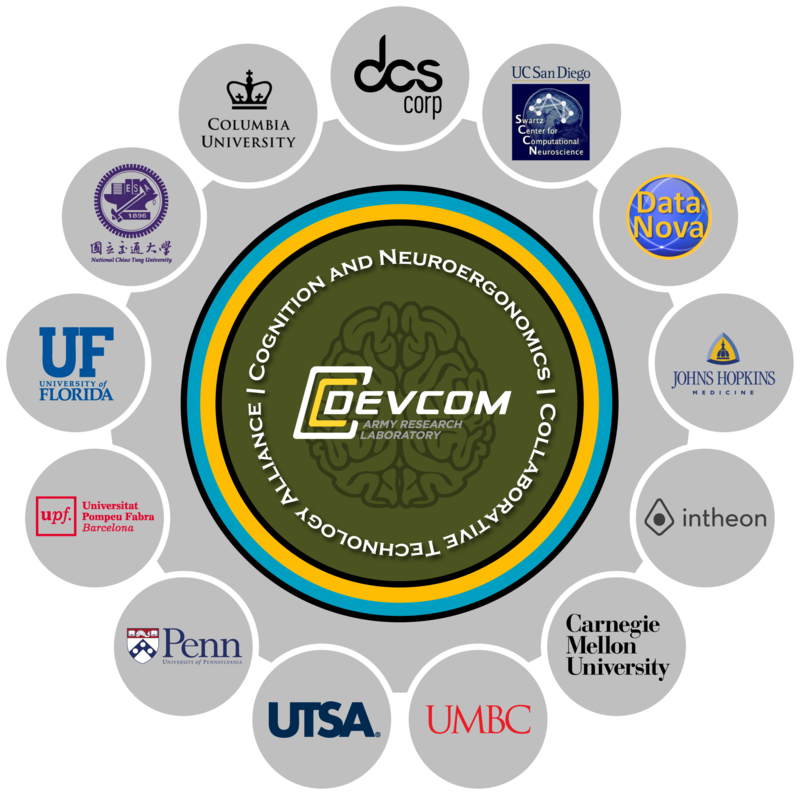 The Cognition and Neuroergonomics Collaborative Technology Alliance (CaN CTA) is the U.S. Army’s flagship basic science research and technology transition program in the neurosciences. Recent progress in the neurosciences has greatly advanced our knowledge of how brain function underlies behavior, providing the modern foundations for understanding how we sense, perceive, and interact with the world. These understandings, if properly leveraged, have the potential to provide revolutionary advances, fostering practical solutions to address Army needs. Launched in May 2010, the CaN CTA brings together world-class researchers, experienced industry partners, and some of the U.S. Army Research Laboratory’s (ARL) brightest scientists to harness the vast, worldwide investment in neuroscience research and development. The CaN CTA’s program of scientific research and development is aimed at advancing and accelerating the maturation of neuroscience-based approaches to understanding Soldier performance in operational environments and to enhancing future Soldier-system development. The CAN CTA is organizing a session on Real-World Human Neuroscience at NER 2019. Visit the website for more information. The Strengthening Teamwork for Robust Operations in Novel Groups (STRONG) Program Annoucement is now available. The Center for Agent-Soldier Teaming (CAST) website is now live!